It is definitely a bit late for Halloween preps now, but that doesn’t mean that you can’t have something for free. 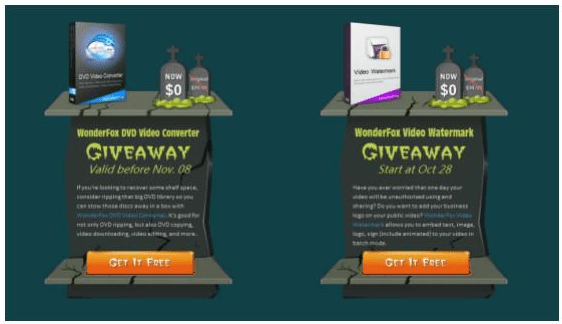 WonderFox are giving away many prizes on their website, and this includes programs such as video converters, and other such software. They have created a special page for OxGadgets.com readers, so head over to the page and find out all the items on offer. Hurry up, as the offer is only valid till the 12th of November, 2015.